Alfresco is an enterprise open source company focused on making business flow quickly, seamlessly and intelligently. Their software powers the daily work of more than 11 million people at industry-leading organizations in 195 countries worldwide. Alfresco customers rely on their open, modern platform to digitize critical business processes and connect people with the information they need, quickly and effortlessly. 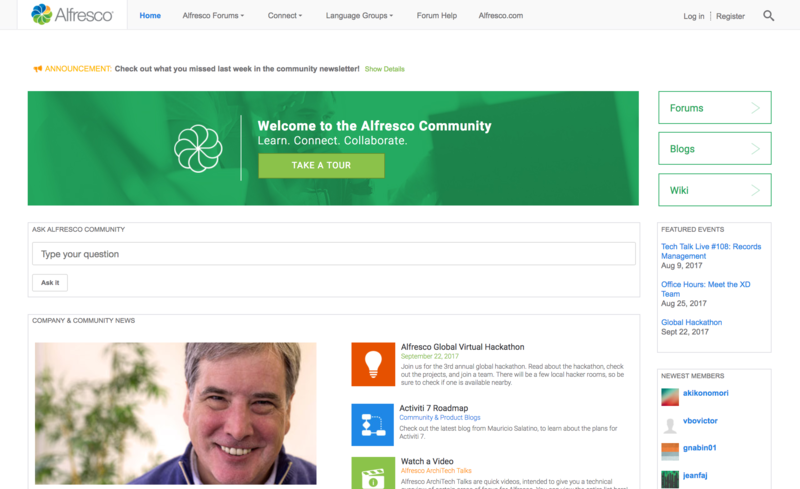 The Alfresco Community enables customers, partners, open source contributors, and enthusiasts to work together to make their organizations successful and improve Alfresco products for everyone. The community is organized into three main sections, making it easy for members to navigate and find what they're looking for faster. 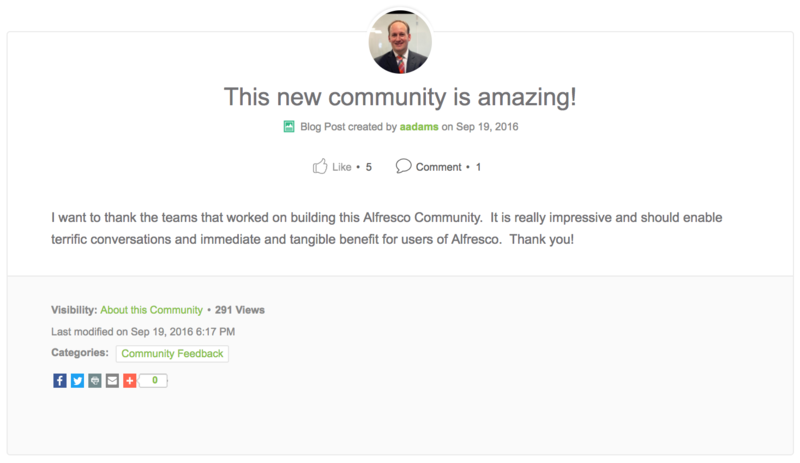 Alfresco Forums: This area of the community is dedicated to making the most of the Alfresco platform, for both ECM and BPM projects. Members come here for help getting started with Alfresco, as well as technical questions and answers. Connect: Enables expertise location based on skills and other profile fields, a leaderboard which recognizes the most active and knowledgeable community members, and Announcements & Opportunities, where users can share opportunities, announcements or job openings. Language Groups: Groups that support foreign language micro-communities. Social Edge was instrumental in our Jive community migration and launch. Moving 75k pieces of content from three disparate systems required thoughtful planning, organization and ultimately their assistance in the execution of the migration was crucial. We were able to preserve our 10 year history of conversations and importantly our search engine rankings and traffic volumes.